• We kick off your midweek edition of The Purge with one of the week’s most interesting new tracks impacting radio. Entitled ‘In The Morning’, the song is performed by this young woman (pictured), who goes by the name of Sannie. Sannie is the artist formerly known as Whigfield and the track has been finding favour with DJs across Europe for the past couple of months. Now it’s Australia’s turn to get on board, before she hits our shores later this month as part of the Vengaboys national tour. • US producer Zhu has been added to the mammoth 2017 Field Day line-up, which already includes the likes of AlunaGeorge, Safia, Tkay Maidza, MØ, Client Liaison and Childish Gambino. Field Day is set to take over The Domain in Sydney on New Years Day for its 16th outing and tickets are on sale now. • Organisers of the Big Pineapple Music Festival on the Sunshine Coast have told us to save the date… the festival will be back in 2017, bigger, better and juicier than ever. Last year’s event sold out, so they’re advising people to get in quick for tickets to the Saturday May 27 event when they go on sale soon. 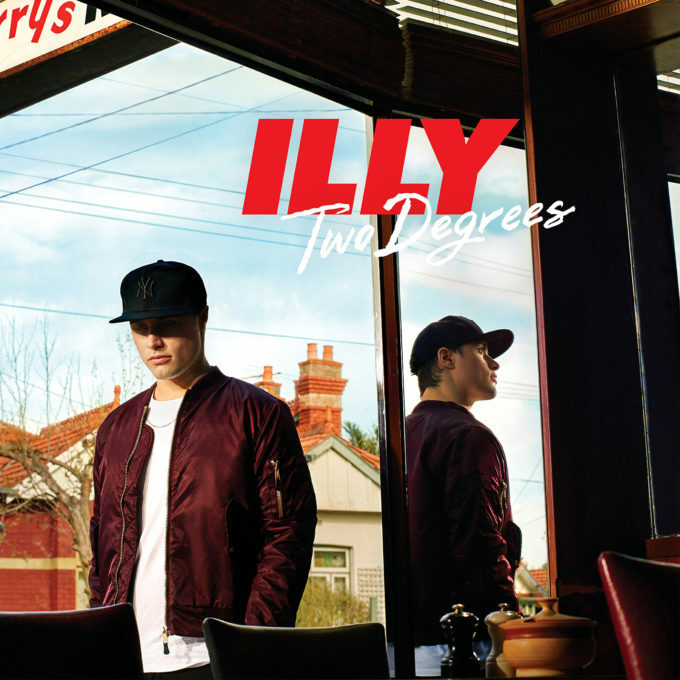 • Aussie hip hop dynamo Illy will release his new album ‘Two Degrees’ in the middle of next month. The performer, who’s nominated for six ARIA Awards, had the new single ‘Catch 22’ serviced to Aussie media on Monday to coincide with the album’s announcement. To celebrate its release on November 11, Illy will perform three launch shows – at Woolly Mammoth in Brisbane on November 15, Oxford Art Factory in Sydney on November 16 and Howler in Melbourne on November 17. Tickets for all are on sale at 9am today. • Our friends at Asian Pop Radio are celebrating the launch of their brand new app as part of a special KPop night in Melbourne this Friday. They’ll be taking over the city’s Blue Diamond from 11pm with giveaways, KPop music, DJs and a dance competition. • Elvis is alive!! Well… not really, but fans will get the chance to spot him all over the country as part of the ‘The Wonder Of You’ national tour. The King will be up there on the big screen, while a 40 piece orchestra (directed by Chong Lim) will play the hits that made him famous. Tickets for the shows (in Perth, Adelaide, Brisbane, Sydney, Melbourne and Hobart) are on sale from 10am on Wednesday October 19. • American singer songwriter Ryan Adams (left) will be in Australia in early December, with the team at Frontier Touring confirming a one-off headline show in Sydney. He’ll play the Enmore Theatre on Tuesday December 06 and Frontier members get first dibs on tickets with a pre-sale kicking off at 11am AEDT today. General tickets are on sale from 10am AEDT this Friday. • Accompanying the release this Friday of their first new music in four years (the single ‘Learning To Fly‘), Deep Sea Arcade have confirmed they’ll play shows in all five main capital cities this December. Tickets for the gigs (in Brisbane, Sydney, Melbourne, Adelaide and Perth) are on sale this Friday, October 14. • And brace yourself… Perth outfit Birds Of Tokyo are touring their new album ‘Brace’ from the middle of next month. The tour kicks off at Metro City in their hometown on Thursday November 17, before it makes stops in Adelaide, Brisbane, Melbourne, Sydney and Wollongong. 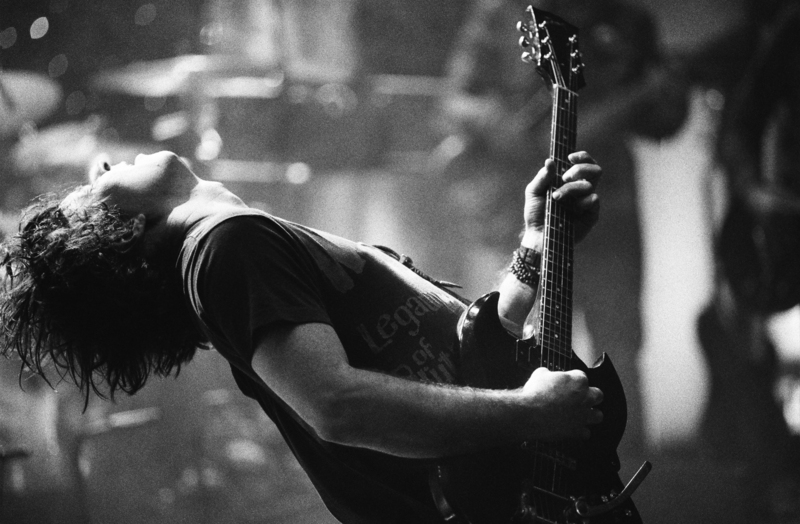 “When we were writing and recording we kept talking about how we wanted to make a really dark and intense rock record that would be great to play live,” frontman Ian Kenny explains. “So we can’t wait to finally crank out these new songs as well as lots of others at some gigs.” Tickets are on fan club pre-sale from 9am local time today before general public ticket sales go live at 9am local time this Friday, October 14.